Dinosaur skeletons! Hostile American Indians! Teenage orphans, one girl, one boy! Young love! Double dealing! Near death! This novel has them all in this latest offering from a master-story teller who writes so fluently that events on the page flow by as if in a film. Things are initially tough for 17 year-old Rachel, accompanying her bossy and arrogant father in search of bigger and better fossils. But then she meets Samuel, whose own father also has the same aim in mind and in his own childish and boastful way is just as bad a parent. Both adults end up brawling with each other while their children look on helplessly before falling heavily in love. But they also have to pretend to be spying on each other’s camps in order not to get sent back to their separate homes. Set in the end of the nineteenth century in the still untamed ‘badlands’ of the American West, this story educates as well as entertains. Meticulously researched details of what to look out for when prospecting for dinosaur remains are made compellingly interesting. The events described are partly based on real historical happenings during the so-called ‘bone wars’ where two American rival collectors, living at the same time as characters in this novel, endlessly plotted against each other while discovering over a hundred new dinosaur species. Rachel and Samuel are fictional but come over just as real. 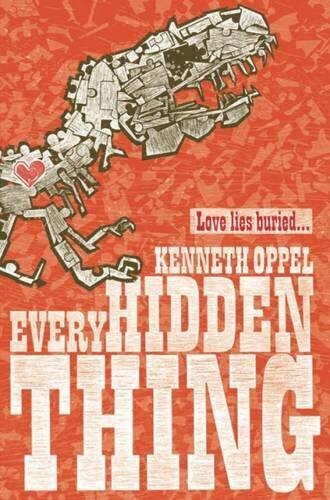 Kenneth Oppel never disappoints, and this cleverly constructed novel, bearing with it a real sense of the past, very much warts and all, must surely be one of his best.